I recently did a post about Slime and Kids. Of course you can use shaving cream to make slime also, but there is another craft that you or the kids can use with it too. 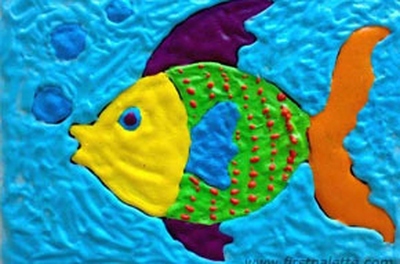 Creates beautiful art so easily, great fun to create for kids and adults too! Shaving cream painting: A fun activity for the little ones that allows them to get messy, play with textures, be creative and feel accomplished! Kids love sensory activities! Take a little kid friendly, washable paint and mix a tad in a disposable bowl with shaving cream. Create a variety of colors, so they are able to be creative! Let them use their hands or brushes, and paint on cardstock or even poster board. Thank you Ana, I am so glad you enjoyed my post! It really is….the colors are so vivid! We used shaving cream to teach kids letters and numbers, but never thought to mix it with paint to get colors – this is awesome! Great! The kids will love painting with this…makes the colors so vivid! I can see that – amazing! In about a month, I think. Does this dry well? I know my grandkids would like to hang their artwork. Yes it does! Your grand kids would probably love the slime project too!